One such person is 41-year old sugarcane and beef farmer Justin Sykes from Ridgeway Farm, bordering the Mgwempisi Valley in Richmond. A fifth-generation farmer, Justin has farming – and the love for what he does, the land and the people he works with, in his blood. “I wanted to give something back, and reward my long-serving employees. 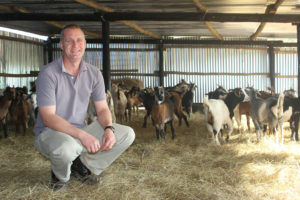 My decision was to start a livestock, specifically goats and cattle, project,” says Justin simply about his initiative. “All my wife Candice and I knew was that we wanted to do something to bring about change for our hard-working and loyal employees, but we didn’t know how to go about it. There is no manual out there for this sort of thing you know!” quips Justin. 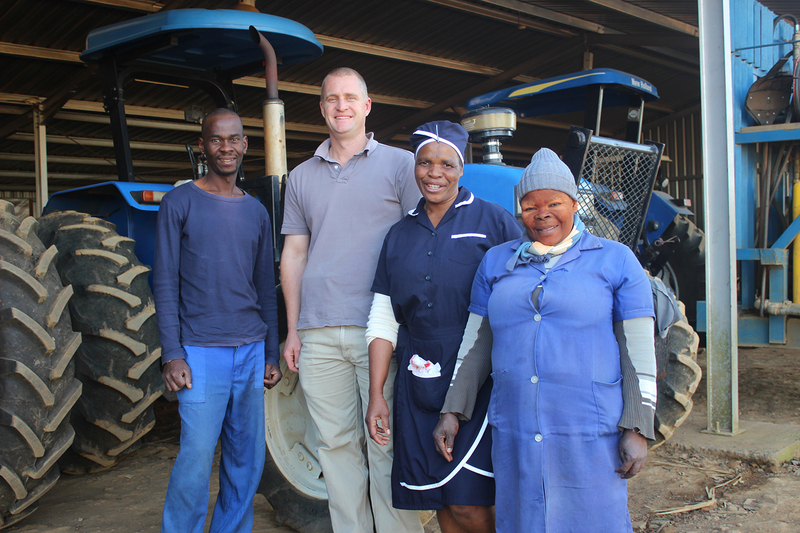 Last October, with the help and advice of his accountant, Justin formed the Ridgeway Farm Employees Trust, which in order to qualify as a beneficiary, 10 years of unbroken service, is required; of his employees 21 are currently qualified as beneficiaries. 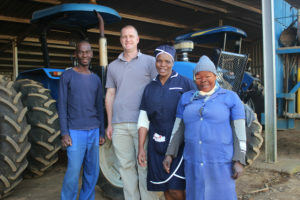 He then formed an operating company, Mgwempisi Valley Farming, in which he has a 49% share, with the remaining 51% being owned by the Ridgeway Farm Employees Trust. Regular meetings with directors are held where input and plans for the company are jointly made. “There are four directors, myself and three beneficiaries; we are all also Trustees on the Trust,” explains Justin. To date Ridgeway Farm has funded 100% of the capital required to get the company off the ground. This includes the purchase of an initial 70 Nguni/ Mbuzi goats, a full-time goat minder, the over-night facilities, the supplementary food required, the vet bills and the leasing of the land for grazing which Ridgeway Farm leases for a nominal annual fee of R1. “Once we start selling goats the company will start paying all of its own expenses and the profits will be distributed to the beneficiaries each December,” explains Justin. “Our long-term plan is to purchase land in the company’s name with my employees, now that we have put the hard work in and put all the necessary structures in place, this should make things simpler should we find a suitable farm for sale,” says Justin. So, as you can see, a simple initiative founded on a positive frame-of-mind that will make a massive world of change for, not only the Sykes, but for their staff and their joint futures as farmers in SA. We encourage you to share Justin’s story and we look forward to your feedback about the ways in which you are driving the real change on the ground for agriculture.